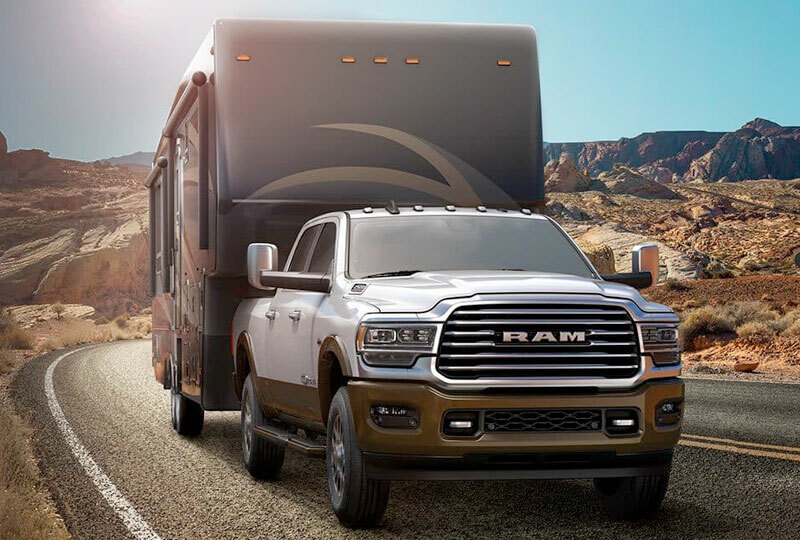 The 2019 Ram 2500 coming soon to Banks Crossing Chrysler Dodge Jeep Ram in Commerce, GA - near Athens, Jefferson, and Toccoa - is bringing astounding capability and premium features. It's powered by a thunderous 6.4L HEMI® V8 engine with best-in-class gas 410 horsepower.2 With it, you can load the bed with nearly anything you might need because you'll get an impressive maximum gas payload capacity of up to 4,050 lbs. Upgrade your hauling abilities with an available diesel engine that provides a whopping most-in-class max towing capacity of up to 19,780 lbs.1 Versatility matters, which is why you can utilize an optional class-exclusive RamBox® cargo management system with a 115-volt power outlet2 to store smaller items and stay fully charged. No matter where the work takes you, you'll ride in first-class comfort on available 100% leather seating. When getting everything ready, the dynamic centerline display with hookup assist makes loading your trailer a breeze and a 360-degree surround view camera allows you to see nearly anything going on around your truck. 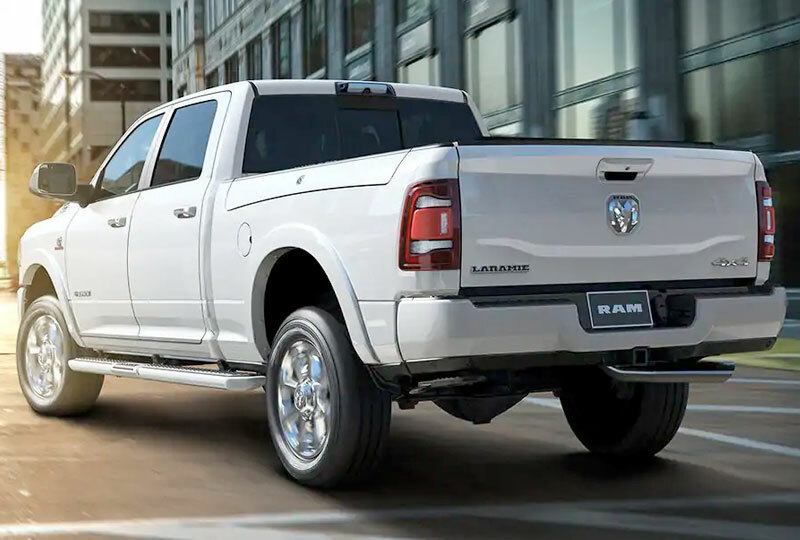 The 2019 Ram 2500 is arriving soon and we have amazing deals you have to see to believe. Take your test drive by visiting Banks Crossing Chrysler Dodge Jeep Ram at 2377 Homer Rd, Commerce, GA 30529. Don't miss out on owning the new 2019 Ram 2500 you've always wanted! with Best-in-Class towing,2 Best-in-Class gas horsepower,2 remarkable off-roading capability and impressive efficiency. 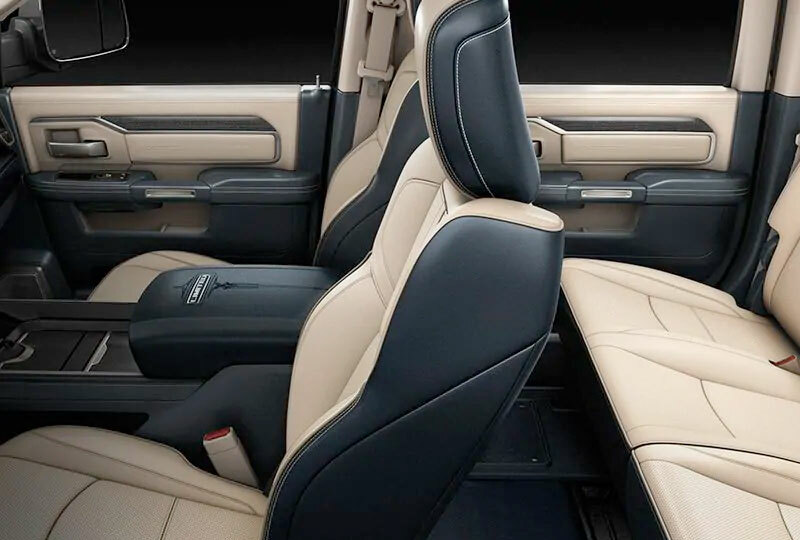 The award-winning interior from the 2019 Ram 1500- with 100% leather seating-is now available on the new 2019 Ram 2500 Limited and Laramie Longhorn models. with available features like the Class-Exclusive Adaptive Forward Lighting,2 a 360° Surround View Camera3 and a wide variety of passive and active safety and security features.